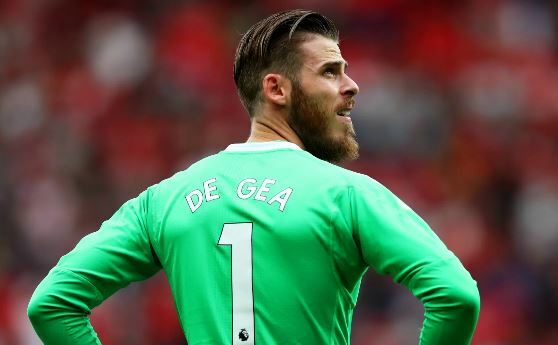 Manchester United’s De Gea wins Premier League Golden Glove award – Royal Times of Nigeria. Manchester United goalkeeper, David De Gea, has won this season’s Premier League Golden Glove award. It is the first time the Spain international is claiming the prize, which is handed out each season to the goalkeeper who keeps the most clean sheets. David De Gea has enjoyed a fantastic season with the English Premier League honouring him as the most performing keeper. De Gea kept his 18th clean sheet of the season in a 0-0 draw against West Ham United on Thursday. It ensures that he finishes on top of the 2017/2018 Premier League charts for the category. Manchester City’s Ederson, who currently sits in second place, holds 16 clean sheets having sat out his club’s 3-1 victory over Brighton on Wednesday and with one game remaining, cannot catch De Gea. De Gea becomes the first Manchester United goalkeeper to win it since Van Der Sar in 2008/2009 and the first Spain goalkeeper since Reina in 2007/2008.